Happy New Year! It is my great honour to have the precious opportunity to continue serving our beloved College, The Hong Kong College of Family Physicians, as the new President of the College. I have been a Council Member of the College during the period 1998 – 2008, then I rejoined the Council from 2010 onwards. Over the years, I had the privilege of serving the College and her members in many different roles, for example, I was the Vice-President (Education & Examinations) and the Chairman of Education Committee (Academy of Medicine Affairs) since 2014, Chairman of Internal Affairs Committee since 2012 and Chairman of Editorial Board from 2000 – 2008 and then again since 2011. I also chaired the Research Committee and Quality Assurance Committee from 1998 – 2002. More recently, I helped to organise the celebration activities of our College’s 40th Anniversary as Chairman of the HKCFP 40th Anniversary Celebration Organising Committee in 2017. For colleagues and friends who may not be too familiar with me, the following is a brief introduction of my professional development. I received my undergraduate medical training in the United Kingdom and completed the General Practice Vocational Training before taking up a full-time academic post in the Department of Community and Family Medicine (the predecessor of the Jockey Club School of Public Health and Primary Care) at the Chinese University of Hong Kong. After spending a few years in private practice, I was subsequently recruited by the Hospital Authority to kick start the Family Medicine training programme. 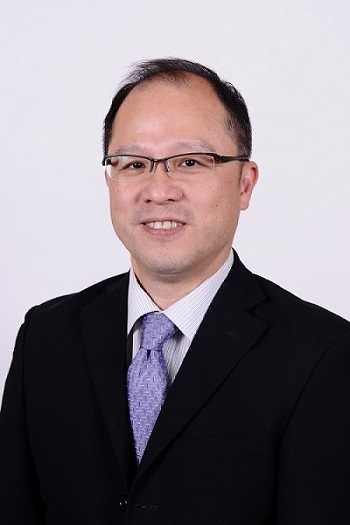 Currently, I am the Chief of Service and Consultant of the Department of Family Medicine and Primary Health Care, United Christian Hospital and Tseung Kwan O Hospital of Kowloon East Cluster, Hospital Authority. I am also an Honorary Associate Professor of both the University of Hong Kong and the Chinese University of Hong Kong. So, it can be said that I have done the perfect rotation in Family Medicine, spanning the academia, the private sector, and the public service setting. On 16th December 2018, we had our Annual General Meeting and annual dinner at the Hong Kong Academy of Medicine building. We are very grateful for your kind participation. I would like to express our sincere gratitude towards the previous council members, namely Dr. Mark SH CHAN, Dr. Ruby SY LEE, Dr. Dana SM LO and Dr. Gene WW TSOI. They have contributed a lot to our College work in the past years. It gives me great pleasure in welcoming Dr. Cecilia YM FAN to our team of Executives as the new Vise-President (Education & Examinations). I would also like to welcome our new council members, including Dr. Ken KM HO, Dr. Eric MT HUI, Dr. Welchie WK KO, Dr. Maria KW LEUNG, Dr. Yim Chu LI and Dr. Matthew MH LUK. Of course, we are very much obliged to our team of Censors, Professor Cindy LK LAM, Dr. Stephen KS FOO and Professor Donald KT LI, who will continue to guide us despite their very busy schedules. The same applies to our serving Executives and Council members. We are also very grateful towards all Boards and Committees for their great work and achievements over the year. Last but not least, we are most grateful towards our excellent secretariat for their dedication throughout the year. I look forward to working with you in further advancing our discipline of Family Medicine. May I take this opportunity to wish everyone and your family a very healthy and prosperous New Year in 2019!